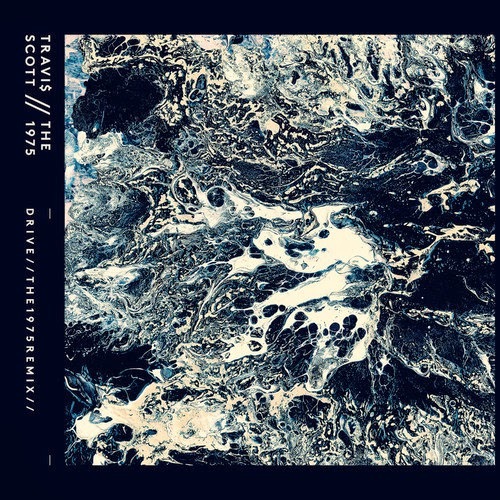 In their long running series of remixes, The 1975 return once more with a thrilling rework of Travi$ Scott's soulful Drive. Stamping their signature mark over the track's RnB stylistics with pulsating basslines and a scintillating synth pad workout, Matthew Healy goes back to back with the Texan rapper to gorgeous effect. Drive originally appeared on Travi$ Scott's mixtape 'Owl Pharaoh' back in 2013, and with a chance encounter following the Manchester band’s Coachella appearance, the conversation soon quickly moved on to an appreciation for each others work. What better way to show this than joining forces with devastating results as the tempo's upped transporting us on a silk smooth wave of elegance, its bubbling vocals and intricate percussion only adding to its confidence. Listen above. You can also download the track for free. The 1975 will head out on the road this Autumn with a short run of UK dates before travelling across Europe and North America. You can see the full list of dates below/after the jump.